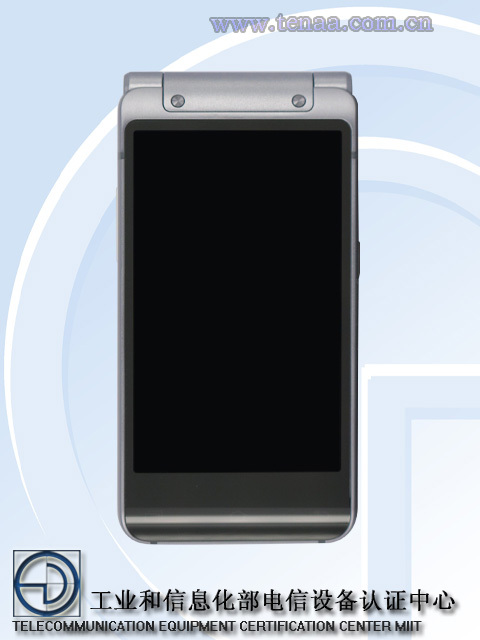 The unique and retro smartphone has been spotted at TENAA under the model name SM-W2016. LG recently launched its LG Gentle clamshell smartphone in Europe that can be considered the sister model to the LG Wine Smart. 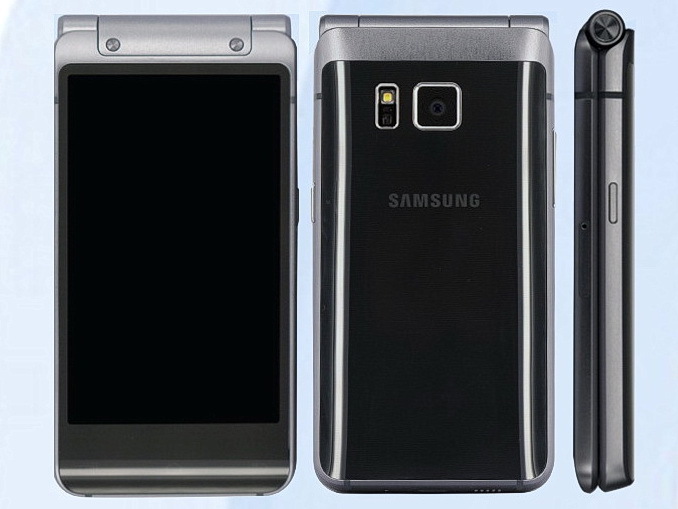 Samsung, however, is looking to one-up its competitor with its own retro clamshell. 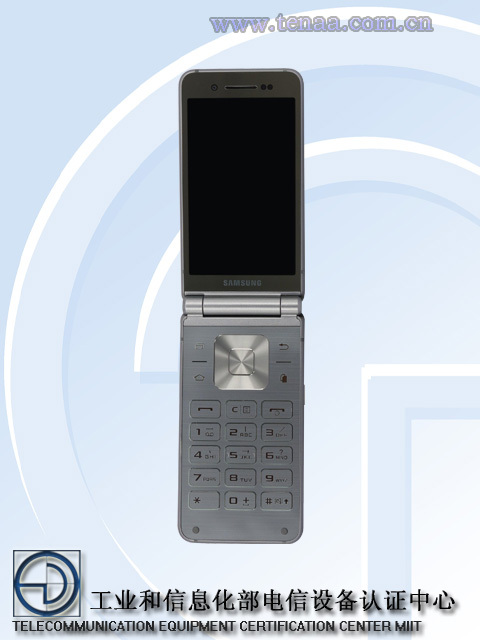 A Samsung flip phone has been spotted at TENAA for wireless testing under the model name SM-W2016 with leaked images and specifications. 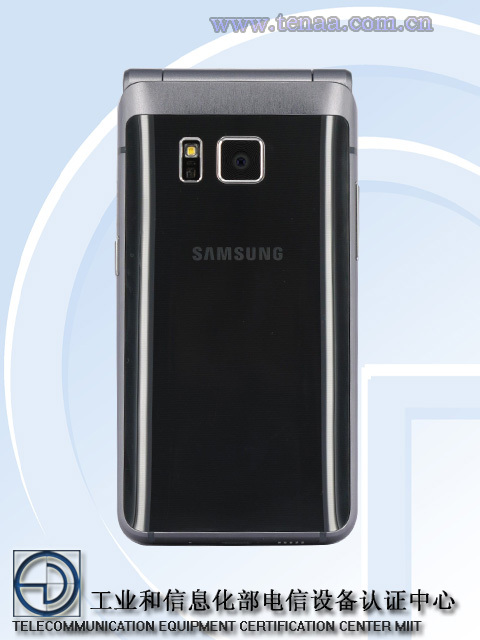 According to the source, the SM-W2016 looks to incorporate the design of the recent Galaxy S6 into a flip form factor. The device will have a two identical 3.9-inch AMOLED displays - one on the front cover and one when the phone is flipped open - each at 1280 x 768 pixel resolution. 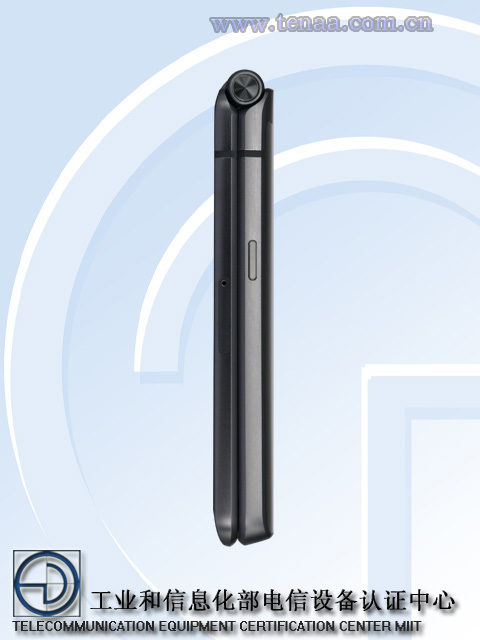 Other than the physical numeric keypad, the smartphone is expected to ship with an octa-core Exynos 7420 SoC, 3 GB RAM, and 64 GB of internal memory. The Samsung clamshell measures 120.4 x 61 x 15.1 mm with a weight of 204 grams according to TENAA. Cameras include a 16 MP sensor for the rear and a 5 MP sensor for the front. Android 5.1.1 Lollipop will come pre-installed. While the SM-W2016 will likely see the light of day in the Asian market, there is no word yet on a launch overseas or in European territories.